Home > Teeth Whitening > Is Teeth Whitening Safe? In this post we are mostly discussing teeth whitening in the sense of professional bleaching, which involves high strength chemicals being used to whiten your teeth. This type of teeth whitening is safe if carried out by a qualified dental professional. However, it is very dangerous if it is not carried out by a dental professional — it can severely damage your teeth and have lifelong consequences. Some at-home teeth whitening products that you can buy online or in the shops (such as whitening kits or toothpastes) are also safe, but only if you buy the right ones and use them correctly. However, their effectiveness is limited compared to professional whitening. In the sections below we’ll run through some advice on how to whiten your teeth safely, and how to avoid problems. To understand what a professional procedure involves, see our page on professional teeth whitening and its costs. We also recommend checking out our teeth whitening hub page, which covers the topic in detail from start to finish. When isn’t teeth whitening safe? What can happen if teeth whitening goes wrong? If you’re included on the list below. We cover each of the above points in more detail below. Pregnant or lactating women — the effects of hydrogen peroxide are unknown. If hydrogen peroxide crosses the placenta or into the breastmilk it could be harmful for the baby. There is no research to show either way but medical professionals err on the side of caution and recommend tooth whitening after baby is born or breastfeeding is finished. See our post on teeth whitening when pregnant or breastfeeding for more information. Anyone with poor enamel or decalcification — hydrogen peroxide works on the enamel of the tooth. Poor enamel doesn’t whiten well and causes tooth sensitivity. People with braces — having braces can make your teeth painful. Whitening your teeth at the same time can make it worse. See our post on whitening with braces for more info. Anyone who has recently had oral surgery — there is likely to be an open wound. It is not recommended to have hydrogen peroxide seep into the wound. The safest (and most effective) way to whiten your teeth is to go to the dentist. We are not saying this because we have dentists as part of our team here at Electric Teeth. In actual fact, it would be more profitable for us to recommend online products and earn affiliate and advertising revenue. But we would rather provide safe and correct information around teeth whitening — it is a confusing and potentially dangerous topic. Whether you are interested in having your teeth bleached using peroxide or trying an over-the-counter kit or toothpaste to use at home, it’s still better to see your dentist first. They will be more than happy to talk to you about whitening, even if you want to try an at-home method first. Any qualified and licensed dentist will have a GDC number. Usually this is visible on their website, but if not they should be happy to provide it upon request. You can check their number on the GDC website. Remember, it is vitally important to have a regular dental check up before having a whitening treatment. If the person offering you whitening cannot offer you a dental check up, do not let them whiten your teeth. If you’re buying something online or in the shops, don’t assume that seals of approval that say things like ‘BDA-approved’ or ‘FDA-approved’ are legitimate — this is something that has been faked in the past. If there’s something you’re strongly considering and you’re not sure about it, get in touch with us here and we’ll take a look for you. Anything that seems to good to be true. If it’s a lot cheaper than usual, it’s probably for a reason. See our page on whitening costs to get a rough idea of how much things should cost. Anyone or anything that you can verify from more than one source, e.g the GDC register and a company website. In the UK, there are strict laws around tooth whitening. 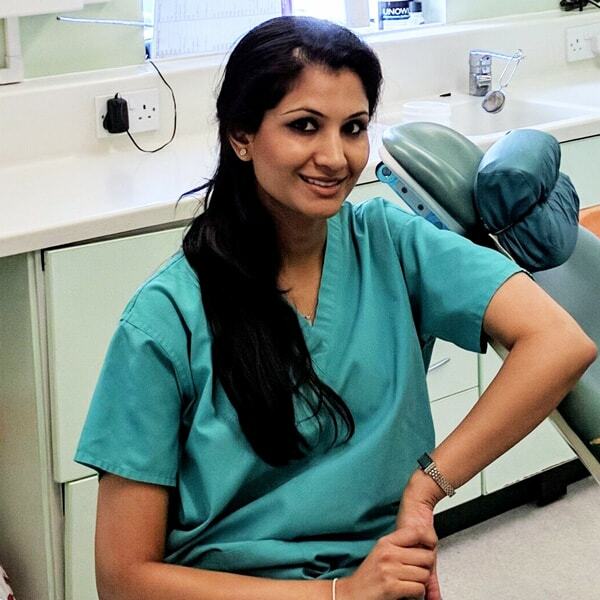 Tooth whitening is a dental procedure that can only be carried out after an examination by a dentist (although the procedure may be undertaken by another member of the dental team, under prescription from a dentist). There is also a minimum age limit of 18 years old, and strict rules around the strength of the chemicals that can be used. Even a dentist can only provide products that release a maximum of 6% hydrogen peroxide – this is for the patient’s safety, and is a lower level than is available elsewhere in the world. Here is a video from the British dental association explaining this. There have been cases in the news recently whereby people who are not qualified are offering cheap whitening services. Hydrogen peroxide (the chemical agent used to bleach teeth), can be extremely dangerous when used incorrectly — it could ruin your teeth for life. Indeed there are cases where people have had whitening administered by someone unqualified to do so and it has caused severe damage to their teeth. In a similar vein to the previous section, you may believe you are having your teeth whitened by a legitimate dentist, but it is actually a fraudster posing as a dentist. This was covered in a recent episode of Fake Britain, where a fake dentist was performing illegal teeth whitening on Oxford Street in London. This goes to show that even a busy location, which may in itself make someone seem legitimate, cannot necessarily be trusted. See the steps we list here to check whether or not a dentist is legitimate. If you have any underlying dental issues such as tooth decay, an abscess or even gum disease, it is important to get these addressed before you begin tooth whitening. This is why it’s important to see your dentist before having any whitening done. Even if you were to use an over-the-counter product that has a low concentration of peroxide, it could still become very painful if you have any existing conditions. When you have professional bleaching, a dentist makes custom made trays for you to use at home. This is safe provided that they have made the trays specifically for you and shown you how to use them. When the dentist gives you the trays to take home, they will also give you the whitening gel that goes in the tray. It is only legal for dentists to dispense these gels. As we’ve mentioned above there are strict rules in the UK about what strength gels can be dispensed. Sometimes you can find gels available to buy online, but in the UK this is illegal and you may be sold a counterfeit product that has the wrong mixture of chemicals on it. We cover this in more detail here. Last year the TV Programme Fake Britain looked at fake teeth whitening products. It discovered that a set of fraudsters had been selling fake whitening kits for the best part of a decade. One lady had purchased the fake kit at an agricultural show, and was left in severe pain and had ulcers for a week after using it. The kit included fake claims such as “used by leading dentists throughout Europe” to help gain the confidence of unsuspecting customers. This wasn’t the first time Fake Britain had covered teeth whitening. They had previously covered this case where the perpetrator repeatedly sold fake teeth whitening kits over the space of several years, and was eventually sent to jail. When they Trading Standards tested the products being sold they found the hydrogen peroxide strength was over 10% — the legal limit in the UK is 6%. This was especially dangerous considering the trays being sold with the kit were one-size-fits-all and would not have been custom-fitted to the customers teeth. These products contain stamps that said ‘FDA-approved’ and ‘EU-approved’ in order to make them appear legitimate and trusted, but this couldn’t be further from the truth — they were completely illegal and unsafe. Chemicals from such kits have been found to contain carcinogenic chemicals, and some of them have so much acid in them they can dissolve the enamel of your teeth. There have even been examples of fake products using chemicals that are so strong, they are the same as those used to clean swimming pools. You definitely do not want to be putting that into your mouth! You could be forgiven for thinking that such products could not exist thanks to the UK legal system and organisations such as Trading Standards. Indeed those systems and organisations do a good job of protecting consumers, but it can take a long time to shut fraudulent companies and individuals down and new ones pop up all the time, so you also need to be vigilant yourself. Even if a product is legitimate, it can still be dangerous if used incorrectly. The chemical agent used for bleaching, hydrogen peroxide or carbamide peroxide, can cause serious issues if used incorrectly. If you’re using a high strength whitening gel, it’s important a dentist has shown you how to use it, and provided a tray that has been custom made for your teeth. With any whitening product, you need to make sure you don’t use it too often. With professional tray whitening, your dentist will inform you how long to use the trays for, and then how often you can use them to top up your whitening. With over-the-counter products, such as whitening kits or toothpastes, you also need to make sure you do not use these too often. Whitening toothpaste can remove stains because of its abrasive nature, but using this for too long could damage your teeth. See our post on the best whitening toothpaste for more information on this. Even with over-the-counter whitening kits, the way some of these work is by dehydrating your teeth. This makes them look white temporarily, but long term this can actually damage your teeth and cause the opposite effect of yellow teeth / more stained teeth. We’ve covered this in more detail in our article on the best whitening options. You’ve only got one set of teeth, don’t take risks with them for the sake of a quick fix or to save a bit of money. Bad teeth whitening could end up costing you a lot more in the long run. For some people, it has ruined their life. If you’re looking at a whitening product or service you’re not sure about, see the steps we have listed to ensure safe teeth whitening, or get in touch with us here.